MSH International specializes in designing and managing health insurance solutions for globally mobile expats. 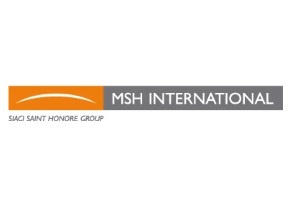 MSH International, a subsidiary of SIACI SAINT HONORE, is a global leader in employee benefits, life insurance, and medical insurance solutions. With 40+ years of experience providing health insurance solutions to globally mobile citizens, you can rest assured of their ability to fully understand your healthcare needs, regardless of your location. To date, MSH International has covered over 400,000 lives across 194+ countries and 2,000+ corporate clients. The company has a truly international presence with 4 regional head offices, 17 local service offices, and 900+ employees worldwide. MSH International specializes in designing and crafting insurance solutions for individual and corporate clients. Their chief offerings include international private medical insurance, corporate life insurance, and employee benefits solutions.